No more C# client. It’s a new world where HTML 5 is the way to go. 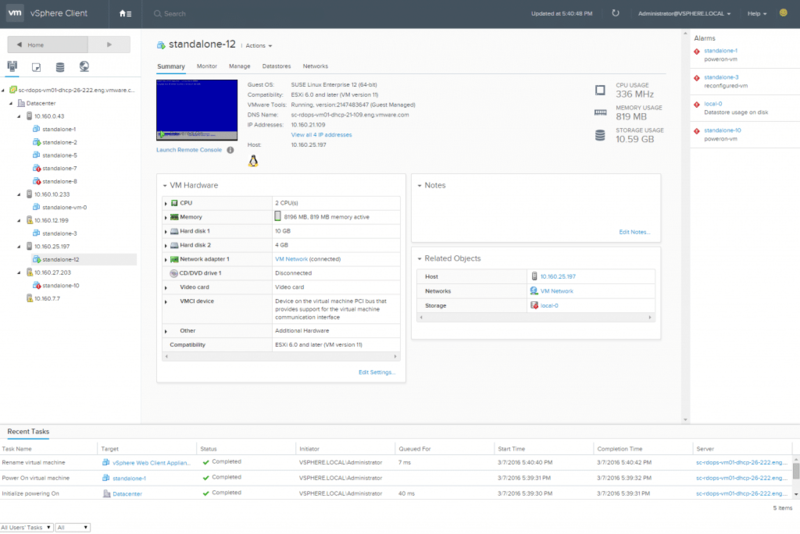 This is a very exciting announcement as we look towards the new iteration of VMware vSphere as it begins to trickle into the roadmap in the coming months. The web client has been something that has been a big push as a target for the day-to-day management of your VMware infrastructure. – Performance – Let’s face it, we have seen some massive increase in speed when using the web client, but it is still not as quick as the native client. This is a reality that we will face, but I believe there will be additional improvements. – Reliability – The Flash UI of the current web client has been know to be slow, and to fail altogether when used regularly. – OVF imports work – the vSphere Client Plugin needed for the current web client will be retired as we move into the next HTML5 interface, so this will be addressed as a long-standing issue with the web client and common functionality. – User Experience – we have grown used to the workflows and task flow as we do a lot of traditional administrative functions. This is less about it being “right” today, and more about what folks are just used to. The reason that the new HTML5 client will be an advantage is that all of the features within the current Flash client will be available, as well as some of the legacy features that were left behind in the full, or what is often called the C# (C-sharp) client. This is the sticking point that people forget sometimes. UI is a view, whereas UX is literally user experience. That is the difference from what you see on the screen, to how you perform tasks within that screen. It is also notable that there are more than just VMware engineers who build features for the vCenter client. External partners have been asked repeatedly about making it easier to consume their platforms within the same UI as the day-to-day vCenter tasks. There will be some challenges for external partners to make sure that they are all fully ready for the new HTML5 only interface. We have seen a lot of partner technologies ignore client integration altogether in order to avoid compatibility issues. That breaks from the elusive (aka unreachable) goal of the Single Pane of Glass. There has been the HTML5 vSphere Host Client fling available for a while (http://blogs.vmware.com/vsphere/2016/03/vmware-vsphere-html5-web-client-fling.html), so it isn’t difficult to see how the move is going to go. In fact, the fling is now a part of the general availability product now and is included in the core platform for vSphere 6.x from now forward. I’m a fan, but we also know that using multiple interfaces to achieve certain admin functions is a pain in the backside. Features are separated by client today. VSAN can only be managed by the web client. vSphere replication can only be affected by the web client. 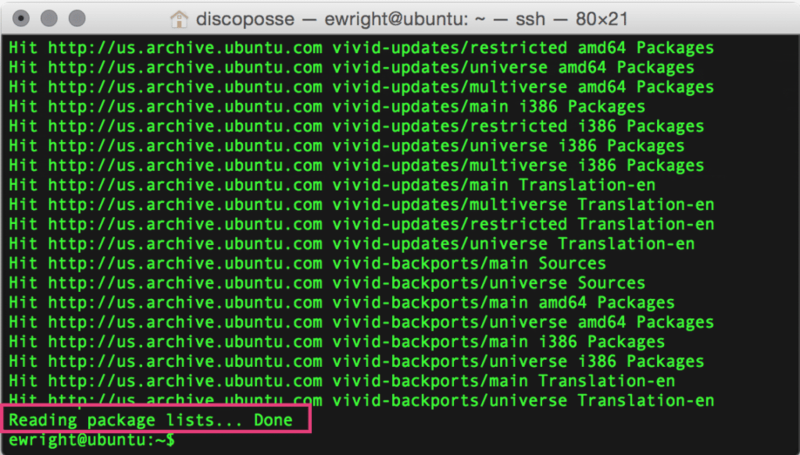 vFlash Read Cache can only be handled in the web client. You get where we are going. New features will only be developed towards the web client, and the transition of the last stragglers (SRM and some others) will be completed by the next iteration of vSphere. Looking forward to the updated client that can be used across all browsers, and all devices. I’m a Mac user most of the time, and the current Flash UI plugin does not work on OSX with Chrome unless you literally open up the rights to give the browser complete root access…which nobody in their right, security-oriented mind would ever do. Let’s see what the next few weeks brings as we prepare for the inevitable launch, or at least the announcement, of the newest vSphere product line at VMworld in Las Vegas. While I tend towards mainly Ubuntu 14.04 LTS (Trusty Tahr) as my core Linux derivative, it is time to move on to the 15.x stream and embrace the Ubuntu 15.04 (Vivid Vervet) for the next bunch of work I’ll be doing. 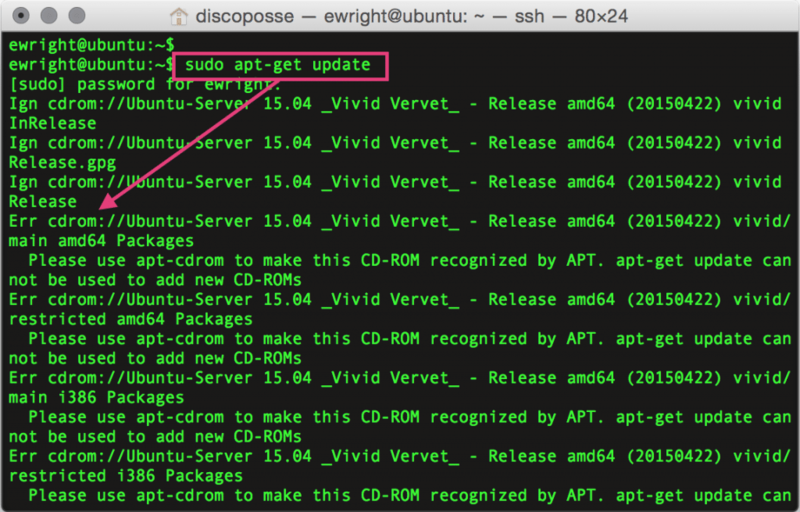 A common practice is that I run the installation and then do an apt-get update to make sure I’ve got the latest goodness from the source repository. 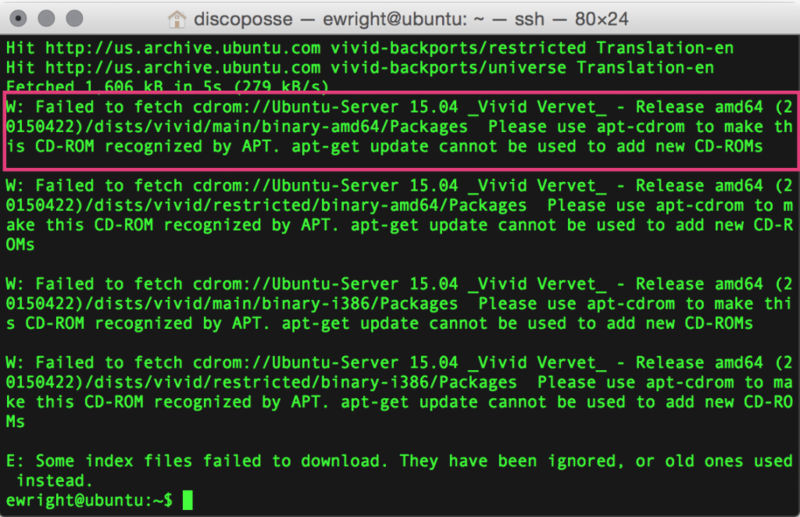 If you’ve tried this after doing a CD or ISO install of Vivid Vervet, you will discover that it leaves the CD-ROM as an apt source. This leaves you with that sad, can’t be updated feeling. Nobody likes that feeling. Because I’m fundamentally lazy, I decided that the process of using nano to edit the /etc/apt/sources.list file is a few too many steps. Plus, I’m a vim lover, but it isn’t installed and can’t be because of the apt source issue. That just means that we stream the /etc/apt/sources.list file and replace the instances of deb cdrom with #deb cdrom which turns it into a comment line in the file. There is a comment line in the sources.list file which will get an extra hash in front of it, but I’m doing this rather quick and dirty. Now you can update as needed. Hope this is a simple, but helpful tip!